Now, if you haven’t had a girlfriend over to bake or cook, I highly recommend it! It makes the chore go faster and let’s face it, as a work-at-home mom, the conversation did me even more good than the cooking. I have to say, this was the first time I have ever worked with cauliflower, so it was a whole new experience. I could have definitely done without the smell of it in my house, though. 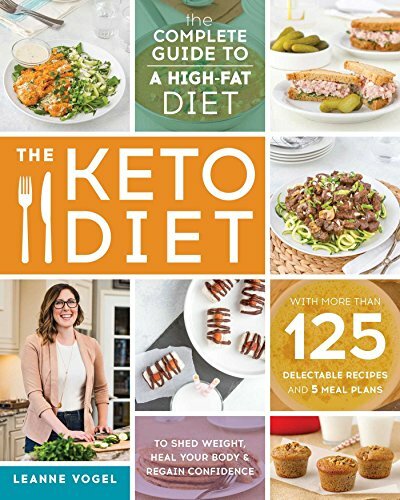 I personally love to learn about how others eat on other diets and love when I find recipes that work for Weight Watchers and other plans. Cut off, and only use, the head of the cauliflower (the florets). Using a food processor, shred your cauliflower. I used the shredded cheese blade on my food processor. Place the shredded cauliflower in a large, microwaveable dish and add about 4 Tablespoons water. Microwave on high for about 7-10 minutes or until the cauliflower is hot to the touch. While your microwave is going, chop up your cilantro. 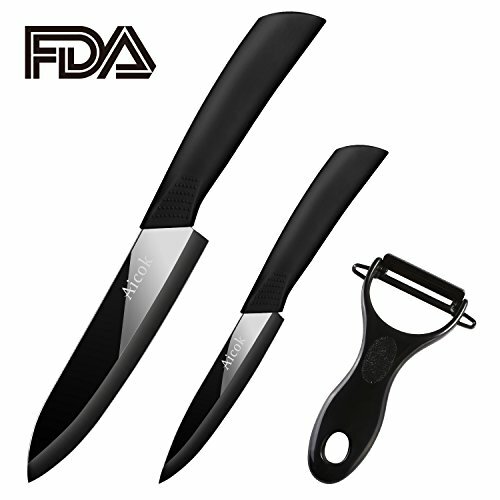 Now, a good knife is a must have in any kitchen! 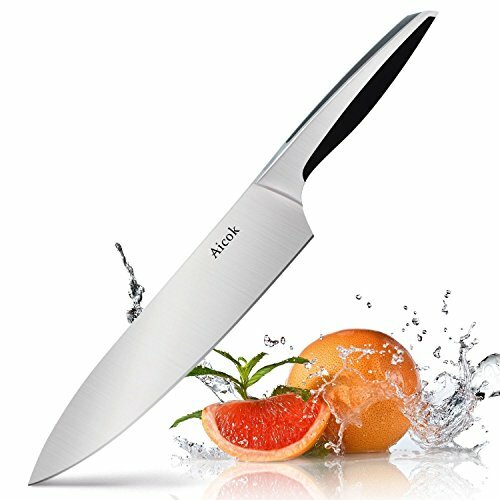 I picked up this Aicok Knife (HERE) for under $10, but it keeps going out of stock on Amazon due to how awesome it is. 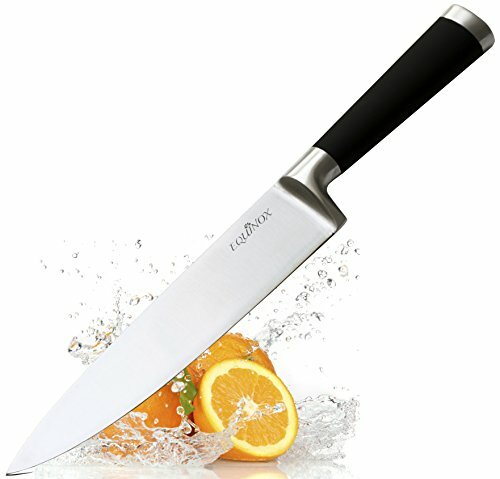 There are a lot of other top rated knives on Amazon at a great price. I am not the best at picking out knives so, when I can read reviews to find a good quality knife, it’s a win for me. Once your cauliflower is done, scoop out chunks of it onto a thin towel (I used a cloth napkin). Do not do it all at once, just about a fistful is enough. Squeeze the towel over a sink to remove the excess water and moisture from the cauliflower as much as possible. This will reduce the bake time of the tortillas. I used an ice cream scoop since the cauliflower was hot. Place the squeezed cauliflower into a large, dry bowl. When you are done squeezing all the cauliflower, add in your eggs, lime juice, cilantro, and salt and pepper to taste. I also added in Cabela’s Tequila Lime seasoning. You can add some lime zest as well for a little kick. Mix everything together with your hands until the egg is well-blended and the cilantro is fully folded into the mixture. Line a cookie sheet with parchment paper then you can use a scoop to place piles of the cauliflower mixture on the pan. Flatten each scoop of cauliflower once you have filled the pan. Bake the tortilla for about 10 minutes then flip them. Bake for another 3 to 5 minutes and remove from the oven. Allow to cool and then serve!! We stuffed ours with shredded Instant Pot Taco Chicken. The only thing that had points was my cheese and sour cream!! Talk about a win!! These are completely freezable, just be sure to separate each tortilla with a piece of parchment paper. 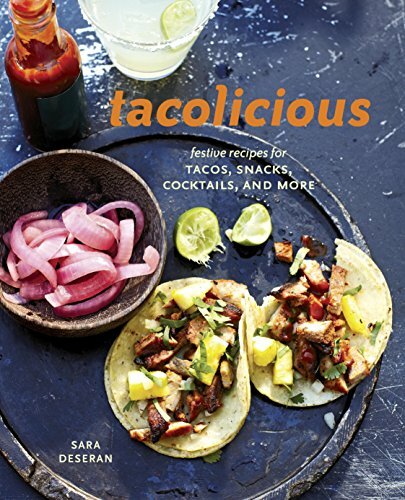 What is your go-to way to save points on dinner for Taco Tuesday? 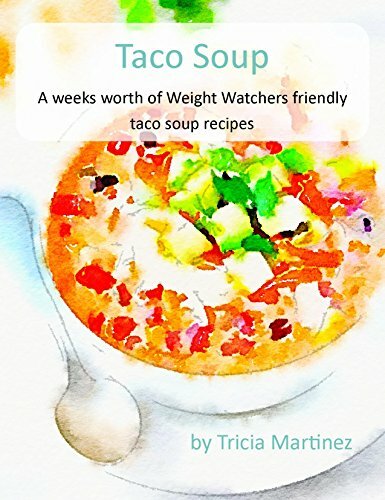 These Zero Point Weight Watchers Tortillas are low carb and perfect to make at home to make your meal healthier!! Plus with using cauliflower they are a great way to slip more vegetables into your kids dinner as well on Taco Tuesday. While your microwave is going, chop up your cilantro. When you are done squeezing all the cauliflower, add in your eggs, lime juice, cilantro, and salt and pepper to taste. I also added in Cabela's Tequila Lime seasoning. You can add some lime zest as well for a little kick. Isn’t it amazing to think about all of the things we do with cauliflower nowadays? Not a fan of cilantro, is there another herb that can be substituted? You could leave it out. You may also try cumin if you are a cumin fan that may add some great flavor.